I'm SO happy you're here! I've been on a path these last 28+ years of self discovery and self love. Ever since I was a little girl, I was obsessed with making sure everyone around me was happy and liked me. I felt like it was my responsibility to take care of everyone emotionally, and do everything they suggested. Before 20, I spent time abusing substances, struggling with disordered eating and work out habits, constantly changing friends, stuffing all my feelings...and then my dad passed away 20 days before my 20th birthday. I'd been white knuckling my life, pushing through every challenge without ever pausing to ask, "Who am I? What do I want? Am I happy? Do I even like myself?" I continued pushing through my early twenties, slowly putting pieces of the puzzle together. Only I found myself without any friends, in a master's degree program that I hated, and when I landed my "dream job" I was going home every single night crying. Queue my quarter life crisis. My quarter life crisis came right on schedule. A month after my 25th birthday I got fired. As a type-A overachiever, I never envisioned I'd get fired. Especially because I was great at my job. You see, I actually got fired because I was so miserable to work with! You can read the entire story here. Resisting all the signs of the Universe, I decided to get another job in my industry, only to find myself fired again three weeks later. Then the Universe tested me - about a week after getting fired the second time, I got a phone call with a job offer (no interview or hoops, just a flat out job offer). ... and for the first time in my life, I didn't do what I thought I "should" do. Instead I did what felt right, and said "no." I spent the next 2 months living off my savings, reading all the books I wanted for fun, and spending every day in the ocean. Knowing I couldn't retire at the ripe ol' age of 25, I started to panic about what I was actually going to do next. After all, with a degree in counseling, what could I really do if I wasn't a counselor? What did I actually want? 1) Being able to watch Ellen every day. ... okay great. From that I knew I had to be my own boss with a flexible schedule and somehow figure out how to help people. I decided to look at the "low hanging fruit" of where I saw a need and how it intersected with my skill set. I then spent the next 2 months researching and writing a 200+ page life-skills curriculum that I began teaching in local workshops a few times a week for about a year. Knowing this wasn't a sustainable model, I decided to move my business on-line. I hired a business coach and within a couple of months realized I was once again building someone else's dream. The entire brand we had been working on wasn't me. 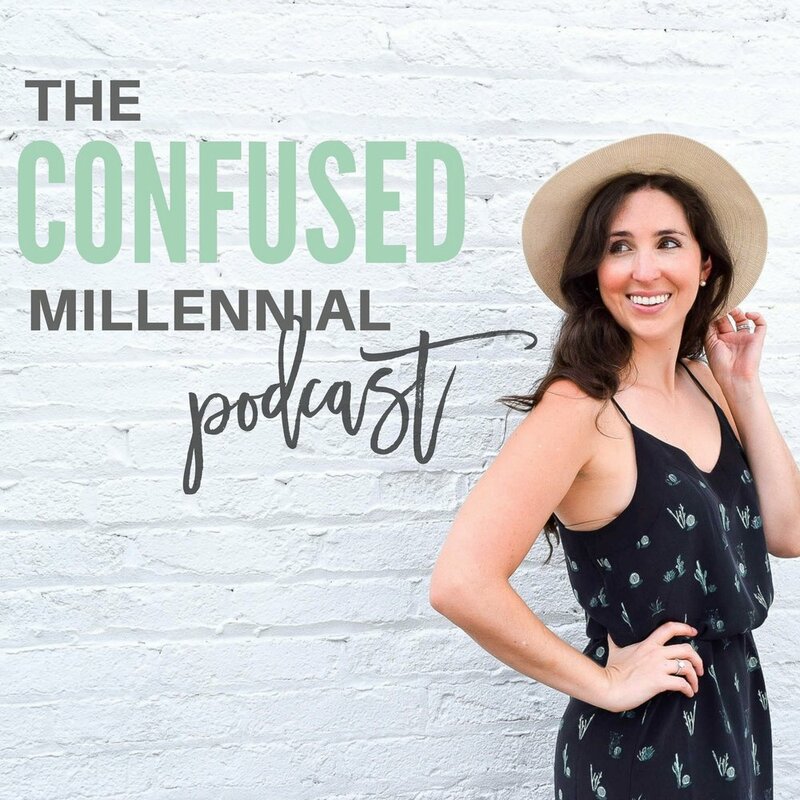 Then one morning as I realized all of this, I was crying to my husband and said, "I'm just another confused millennial who has no idea what I'm doing in life!" And just like that, it felt like a lightening bolt hit my system. I grabbed my laptop, purchased the domain, and 48 hours later the blog was live. From there, things snowballed. The blog took over my life in the best way possible. I was able to turn the curriculum I wrote, into more relatable content, and help people on a larger scale. I used my experience business consulting to start blog consulting. Diving deep back into my spiritual roots allowed me to develop more of my intuition, gain more clarity about how I want to help people, and realize how I've been using and misusing my gifts in the world. I'm here to help others embrace more of who they are while navigating this whole #adulting thing. I'm here to help you find your passion and purpose - in a REAL way. I'm all about #realtalk and have a tendency to cut through the B.S. to get exactly to the core of an issue or what's going on. I want you to reach your fullest potential and live your best life. So what are you waiting for? Let's work together!